Present your best items with Auctiva's FREE Scrolling Gallery. 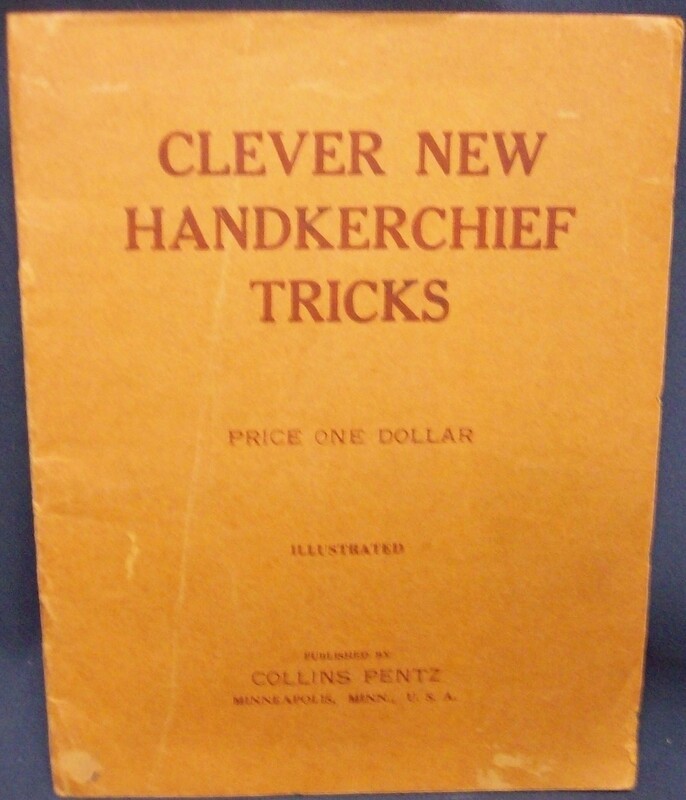 Clever New Handkerchief Tricks, Pentz Collins Self Pub., 1935, stated first Staple bound in good condition. Text is clean and unmarked, binding tight, all staples and pages in place nothing loose, some tanning of pages due to paper used and age. Cover is clean and shows slight signs of wear. Harking back to the tricks of Harry Kellar, this books shows you how to use the handkerchief and perform some of the great tricks using them. B W illustrations, 36 pages, 2 pages of ads at rear of book. Powered by Turbo Lister The free listing tool. List your items fast and easy and manage your active items.